Etta James sang across many genres including blues, rhythm and blues, rock and roll, soul, gospel, and jazz. Etta came upon the scene in the mid '50s and sang great songs such as Dance With Me, Henry", "At Last", "Tell Mama", and "I'd Rather Go Blind" for which she claimed she wrote the lyrics. She faced a number of personal problems including drug addiction before making a musical resurgence in the late 1980s with the album, The Seven Year Itch. 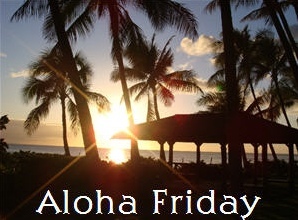 Aloha Friday is the day that those in Hawaii take the day easy and prepare for the weekend. 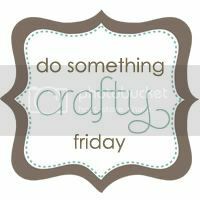 In the likeness of that Aloha Friday hosted by An Island Life allows bloggers to ask other blogger easy questions that require easy answers. This week has been quite busy working more days this week than usual and more hours each work day as well. I am a nurses aide and some days are long and hard. The days that I get to stay home as I only work part time are busy as well with all the mom stuff and taking care of the house. The issue is not between moms who stay home or work outside of home. I simply want to see if you all have these days that are a bit crazier than others. Do you have any tips to share with a mom on her wits end? How many of you like to have a glass of wine with a good meal? How many of you celebrate occasions with a glass of champagne? Well have you ever wondered how that all came about? The truth probably is that while we may drink the bubbly sweet stuff we may not give it much thought why and when it all started. One great gift that would be welcomed by many different individuals would be a wine gift basket. You can find a variety of them let me share a few with you. Who said that you can’t teach an old dog new tricks? Whoever made that ridiculous statement never met my old dog or me. No, I’m not a dog trainer, heck, I don’t even have a dog, but I do have a grandfather. That’s right, I am one of the lucky few to still have my grandfather around. Anyway, with my grandmother passing away about a month ago, my grandfather has become increasingly lonely. One night last week, my wife and I were lying in bed talking about how sad it was that my grandfather is so lonely and if there was anything that we could do to help him with the transition. And then my wife came up with the brilliant idea to get my grandfather a computer and get him set up to use the internet. After finding a good deal on a cheap computer, I began to look for cheap internet service for him. That’s when I found http://www.wildbluedeals.com/. Thanks to Wild Blue, my grandfather now has a cheap, reliable way to keep up with all of the family no matter where we are. The bitterly blue sky was up above as the birds seemed to fly a bit sideways because of the gusty winds that presented their selves. The storm was sure to be there soon it was sure. The only problem was that while the trees had all lost their beautiful leaves the winter weather had yet to come. Now while everyone was ready for the winter to start and snow and ice to come rather a storm was brewing up. 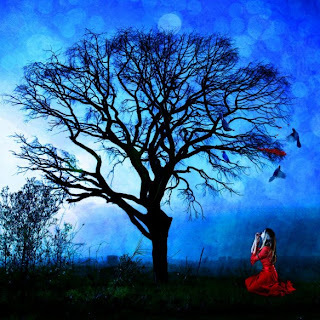 The lady sat among the dead weeds under the tree in her scarlet gown and pondered what was happening to mother nature. She prayed for the weather and all to be safe but for the weather conditions to return to their natural stance soon. Combine the sauce ingredients. Heat a panini press, cast-iron skillet or griddle over medium to medium-high heat. On a work surface, spread the horseradish sauce liberally over 4 slices of bread. Arrange 2 slices of rare roast beef over the sauce. Combine the red onion (or shallot) with the parsley, chile pepper and lemon zest and sprinkle liberally over the roast beef. Arrange a layer of watercress over the beef. Divide the cheese evenly among the sandwiches and set the remaining bread slices in place. Press the panini 2 at a time on the panini press or in a hot skillet with a pan weighted on top. Teaching a child to read is an experience that is priceless to me. When that book has been personalized for the child even better. That is what My Fairy Tale Books does. They place the child into the story by personalizing the book just for them. We were blessed to be sent a copy that celebrate the love we have for our two little ones. Both my little prince and princess are precious to the entire family and the book we were sent celebrates that fact. Walking through the book that contains so many beautiful pictures and lovely words that resound true. The book tells a story about how much we love our little prince and princess. Just imagine what a great time you will have to read a precious book about how much you love the little one in your life. What a great time Valentines day gift this would make. A personalized book you help create by filling in the blanks about the one you love and all the love that is around for them. Set the oven on broil. Slice the English muffins in half and lightly brush from edge to edge with olive oil. Lightly pre-toast the English muffins on top and bottom about 30 to 45 seconds (just enough to keep the sauce from soaking into the muffins… they’ll finish cooking later). Top with mozzarella. Place toppings as desired. Don’t overdo it, as the toppings may fall off. Make sure each item is touching at least some cheese so it will stick. 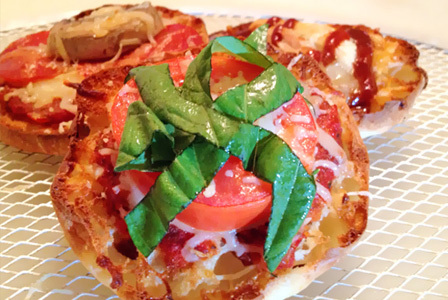 Sprinkle a small amount of mozzarella over each mini pizza (to help the toppings stay on). Place on a pizza pan or cookie sheet and broil until the edges are crispy and brown and the cheese is melted. Our children are our future and we must as adults and parents be sure to take care of them. Yes we try to make their environment one that is a good place to live. We can ensure that safety measures are in place in their schools and homes. Another thing we can do to take care of our children is to get them immunized. One immunization that is not talked about as much as the others is the meningitis immunization. Currently there is a awareness campaign supported by the US Center for Disease Control and Prevention other wise known as the CDC. Public input is being sought through out the country on the subject of whether infants two years and younger should be immunized against meningitis. Meningitis is a leading cause of preventable infant death in the U.S. One out of every 16 infants who contract the disease will not survive. Out of those 16 one in every five will suffer seizures, blindness, amputation, paralysis or learning disabilities. If there was a way to prevent such terrible things wouldn't you want to find out more about it? Other diseases have successfully been eliminated in the past. A successful vaccination program for small pox went global and have been wiped out. Polio, measles, diphtheria and Hib are all at all time lows. The eradication of meningococcal meningitis is an achievable, pressing public health objective and vaccinating infants is an important step in that direction. All ready there is one safe and effective meningitis vaccine that has been approved by the FDA and more on the horizon. The CDC will be the ones that will have to recommend that pediatricians include them in their vaccination schedule. There will be CDC regional meetings in Seattle, Chicago, and Denver this summer. If you are unable to attend these meetings then you should sign the Meningitis Angels Petition that will allow you to share your voice to let CDC know you support infant immunization against meningitis. Melt butter in a large nonstick skillet over medium-high heat. Add leek, shallot, and thyme; sauté 2 minutes. Add potatoes; sauté 2 minutes. Add wine; cook 1 minute or until liquid evaporates. Stir in mustard and broth; bring to a boil. Cook 4 minutes, stirring occasionally. Stir in chicken, mixed vegetables, salt, and pepper; cook 1 minute. Combine cornstarch and 2 tablespoons water in a small bowl, stirring with a whisk. Add cornstarch mixture and half-and-half to pan. Reduce heat, and simmer 2 minutes, stirring constantly. Spoon mixture into a 13 x 9-inch baking dish coated with cooking spray. Cut cucumber, avocado and imitation crab into thin sliced sticks. Lay seaweed sheet on a flat surface. Gently spread a light layer of rice over entire sheet. Turn the sheet over. At one inch from the edge of the seaweed sheet, add ingredients in layers to cover a one-inch rectangle section of the sheet. Starting from the edge closest to the filling, gently fold seaweed sheet over filling, lightly pressing to form a roll. Continue rolling. Slice roll into one-inch pieces. 1. Preheat the oven’s broiler. 2. In a medium pot, combine the tomato sauce, water, half-and-half, salt, and pepper, and bring to a boil over high heat. Reduce the heat to medium and simmer. Add the meatballs and cook until hot, 5 to 8 minutes. 3. Meanwhile, slice the bread lengthwise. Place the bread on a rimmed baking sheet and layer each half with 2 slices of cheese. Put the bread under the broiler to toast, 2 to 3 minutes, checking it about every 30 seconds. 4. Cut the bread into bite-size crouton pieces. Ladle the soup into bowls and top with the cheese croutons. COOK and stir bacon in large skillet on medium heat until crisp. Remove bacon, reserving drippings in skillet. Drain bacon. Add onions to drippings; cook and stir until crisp-tender. ADD beans, broth and pepper; stir. Bring to boil; cover. Simmer on medium-low heat 40 min. There are so many great times to snack this time of year. This month alone we have had new years eve, game night, the rose bowl, oh so many great times to share a snack with a friend. 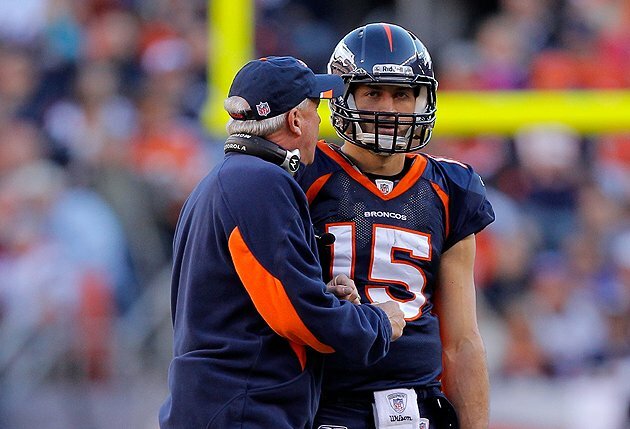 Early next month many will be watching the super bowl. Another great time to share a snack with a friend. A great way to share a snack with a friend is with a snack basket from Ballreich's. We were lucky enough to be sent a basket from Ballreich's that included packages of chips to try. The flavors included regular, bar-b-q, smokey, sweet mesquite, sour cream and onion, salt & vinegar, pretzels and some of their new baked crisps. We also recieved a bit of a surprise when we found a few of their new chocolates in the snack basket. I loved that this basket seemed to contain a snack that everyone loved. You can purchase Ballreich's snacks in retail stores and online. 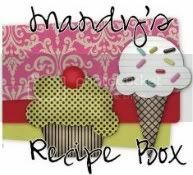 Their website has some awesome fun party packs that would make great gifts or the perfect dish to take to potlucks and events. Giveaway ends on Feb. 7, 2012 Winners will be chosen by random.org and will have 48 hours to claim their prize before a new winner is picked. Cook pasta according to package directions. Meanwhile, in a large skillet, cook the sausage, eggplant and onion over medium heat until meat is no longer pink; drain. Stir in wine and garlic, stirring to loosen browned bits from pan. Add tomatoes. Bring to a boil. Reduce heat; simmer, uncovered, for 10 minutes or until slightly thickened. Drain pasta. Add the pasta, 1-1/2 cups mozzarella cheese, olives, basil and pepper to skillet. Transfer to a 3-qt. baking dish coated with cooking spray. Sprinkle with Parmesan cheese and remaining mozzarella cheese. Bake, uncovered, at 350° for 20-25 minutes or until heated through. Yield: 8 servings. Heat oil in an 8-qt. saucepan over medium-high heat. Season chicken with salt and pepper, and add to pan, skin side down; cook, turning once, until browned on both sides, about 8 minutes. Transfer chicken to a plate; set aside. Add garlic, onion, celery, carrot, and bell pepper; cook, stirring, until soft, about 20 minutes. Add stock and tomatoes, and return chicken to pan; bring to a boil. Reduce heat to medium-low; cook until chicken is very tender, about 1½ hours. Remove chicken from sauce, and let cool; reserve sauce for another use. Discard skin and bones, and shred chicken; set aside. Meanwhile, combine avocados, garlic, lime juice, and salt and pepper in a bowl; chill guacamole until ready to use, covering to avoid browning. Pour oil to a depth of 2″ in a 6-qt. Dutch oven and heat over medium-high heat until a deep-fry thermometer reads 375°. Stir together masa, butter, and 2¼ cups warm water in a bowl until dough forms; divide dough into 12 pieces and shape each piece into a ball. Using a tortilla press or rolling pin, flatten each ball into a 6½″ disk. Place 1 disk in oil. When it begins to puff, press the end of a metal spatula into the middle of the tortilla so that tortilla bends into a taco shape; hold spatula within tortilla until taco is golden brown and crisp, about 1½ minutes. Transfer taco to paper towels to drain; repeat with remaining tortillas. Divide chicken and guacamole among tacos; top with lettuce, tomato, and cheese. Me and hubby absolutely love this song. We had music played but no singers at our wedding. It was a last minute thing we were so young. This song was from the same year as our wedding. Season and grill the chicken breast (whole boned or tenderloin can be used). Set aside to cool then cut into bite-sized pieces. Prepare the pasta as directed on the package. Drain, put in a large bowl and pour 1/2 bottle of Ott's Vidalia Onion Dressing and stir well to coat the warm pasta. Set aside. Peel, seed and cut cucumbers into bite-sized slices. Wash and cut the grape tomatoes into fourths. Drain the can of black olives and cut into halves. Add cut up chicken, tomatoes, black olives, and cucumbers. Pour on the rest of the salad dressing; add the Creole Seasoning and black pepper. Mix well put in a covered bowl and chill. Makes 14 cups of salad. Cook pasta according to package directions, omitting salt and fat. Drain and set aside. While pasta cooks, place flour, salt, and pepper in a large saucepan. Add milk, stirring with a whisk until well blended. Drop cream cheese by teaspoonfuls into milk mixture; bring to a boil over medium-high heat, stirring constantly. Reduce heat; simmer 2 minutes or until thick and cream cheese melts, stirring occasionally. Stir in mustard, Worcestershire, and garlic; simmer 1 minute. Remove from heat. Add cheddar cheese, stirring until cheese melts. Combine pasta and cheese sauce in a large bowl; toss well. Preheat oven to 350°. Sift flour, baking powder, and salt into a medium bowl; set aside. In the bowl of a stand mixer, beat sugar, 1/2 cup butter, and peanut butter until creamy. Crack eggs into a small dish (do not beat) and add vanilla. Add eggs to the butter mixture 1 at a time, scraping down the inside of the bowl as needed. Beat in flour mixture and milk in alternating batches, starting and ending with the flour and making sure each addition is fully incorporated before adding the next. Butter and flour 2 round 9-in. cake pans. Divide batter evenly between pans. 3. Bake until golden brown and a toothpick inserted in the center of each cake comes out clean, 25 to 30 minutes. Cool cakes 5 minutes. Invert onto a rack, remove pans, and let cool to room temperature, at least 40 minutes.